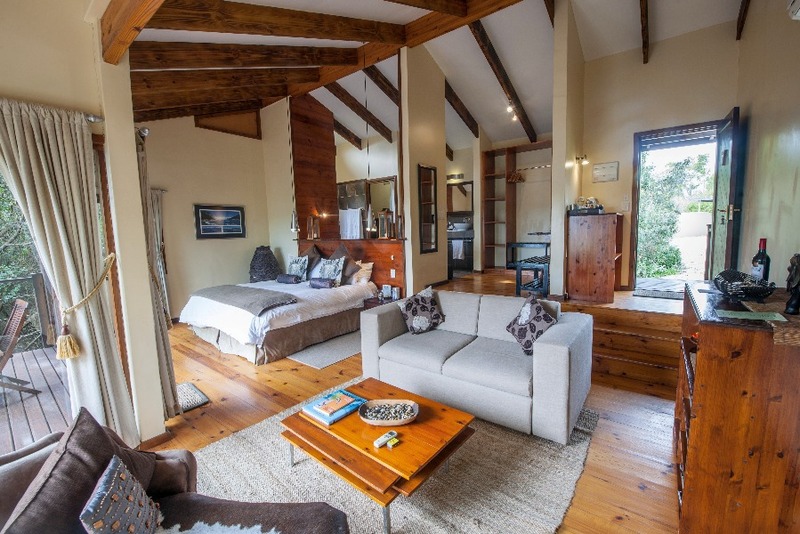 Elephant Hide of Knysna Guest Lodge offers luxury Knysna accommodation and is found on the beautiful Garden Route of South Africa…the hide to seek.Situated on top of the Welbedacht Cliff Tops, this exclusive Knysna accommodation is only 3 km from Knysna town centre. 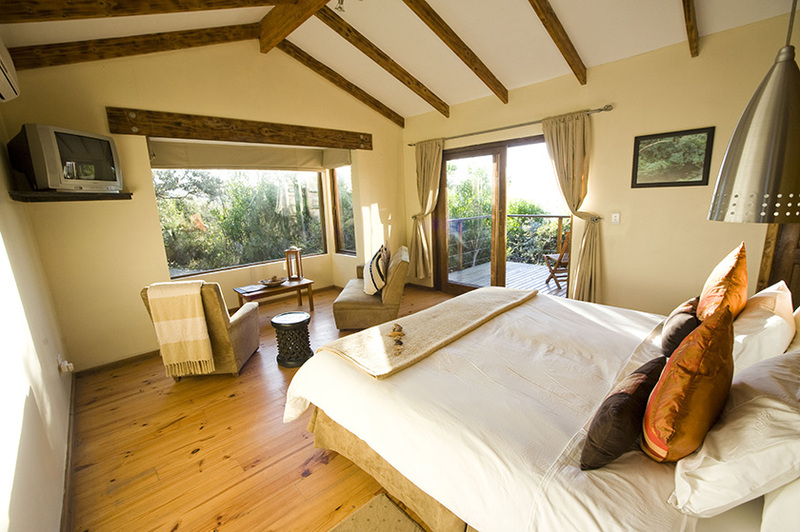 The Lodge overlooks the Knysna Lagoon, the Outeniqua Mountains and indigenous forests. The theme of the Guest Lodge is based on natural beauty, with stone and wood architecture combined to give that comfortable earth feel. The lounge and dining room, with cosy fire place, is superbly decorated and is the perfect atmosphere to enjoy a relaxed glass of wine after a long, happy day visiting the sites of the Garden Route. 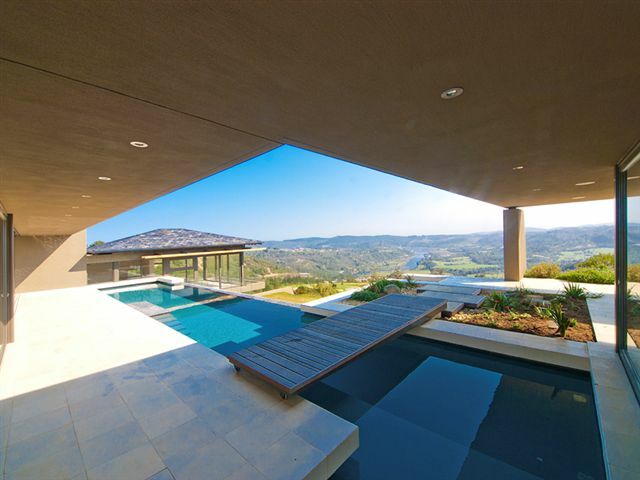 The rim flow pool has a spectacular view and makes the Elephant Hide Lodge one of the most popular Garden Route holiday accommodation destinations in South Africa. The Elephant Hide Lodge is the perfect Knysna holiday accommodation for a family of 4.Offering wonderful Knysna holiday accommodation for families, the Family Suite consists of two inter-leading bedrooms. One bedroom with king sized bed and the second with two single beds. There is a small dressing area off the main bedroom. 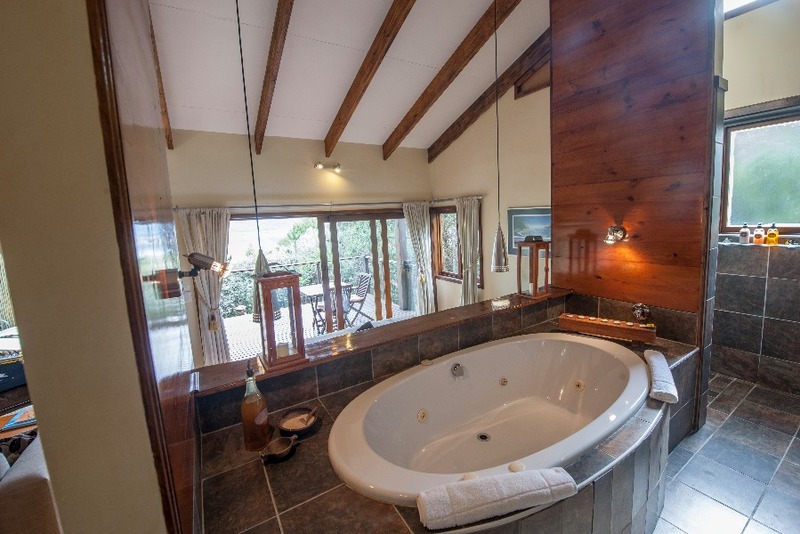 The shared bathroom has a spa bath, double vanity and large shower.A large, private deck to allows you to enjoy the beautiful Knysna lagoon, mountain and forest views while the children swim in the rim flow pool or spot the numerous bird species in the area. This is the ideal spot to watch the sun gently dip behind the Outeniqua Mountains.To ensure that your Knysna holiday is as perfect as possible, all suites in the lodge are equipped with the necessary luxuries like DVD players, flat-screen TV’s, iPod/iPhone docking station, climate control, tea/coffee making facilities and mini bar.Knysna offers great family vacations with loads to see and do for children ranging from Monkeyland, Birds of Eden, Elephant Sanctuary to Tenikwa Wildlife awareness centre. 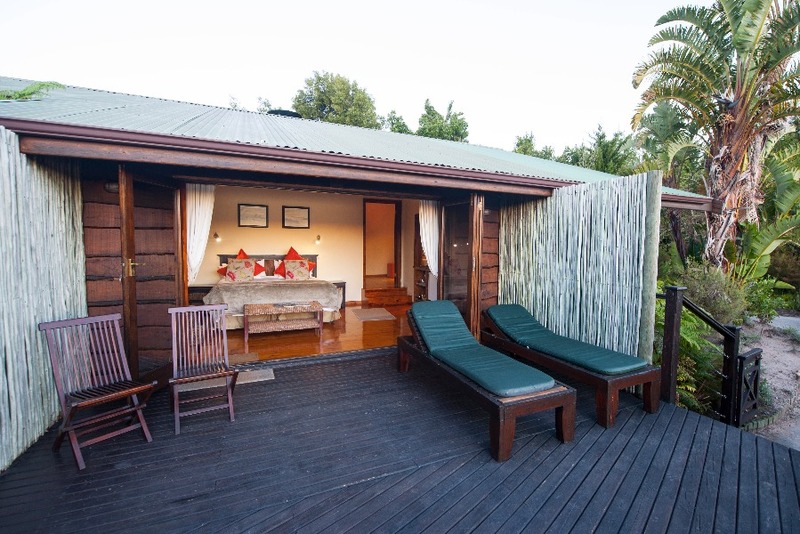 Elephant Hide Lodge has 7 private suites. 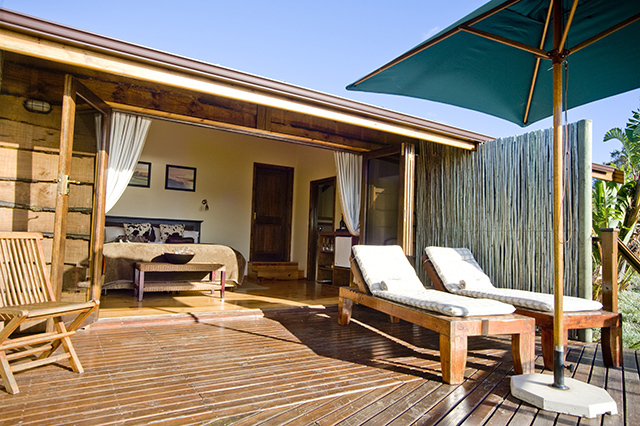 The 5th cabin is called the “Fynbos Suite”. 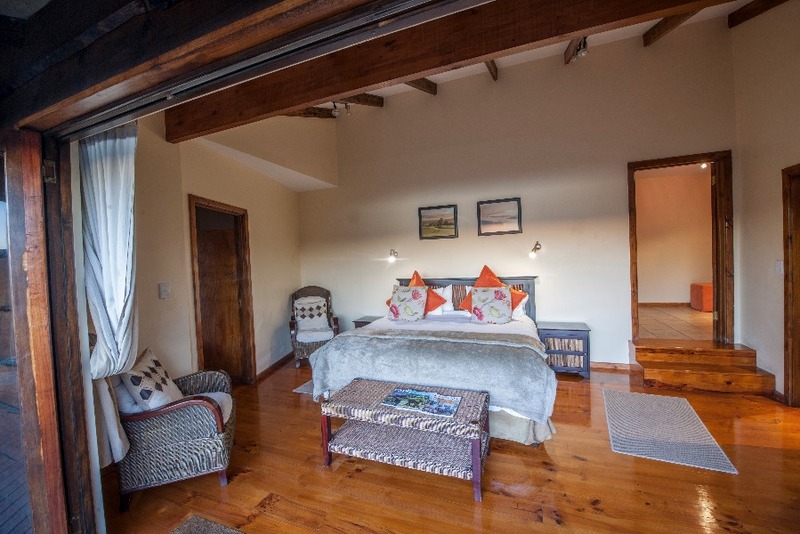 This beautiful cabin has wooden floors and earthy colours, tones and textures. It is surrounded by Fynbos which attracts many different types of bird and butterfly species. Guests staying in this suite can enjoy the hidden away feeling of being surrounded by beautiful plant life. The perfect spot for nature lovers!This cabin is designed for comfort and luxury. The bathroom has a double shower, a spa bath and double vanities. The dressing area means that bags and baggage are tucked away and you can enjoy uncluttered peace and tranquility. The king sized bed has 100% percale bedding and duck down pillows. The flat-screen TV with select DSTV channels, iPod/iPhone docking station, climate control and mini bar allow for a little added luxury. 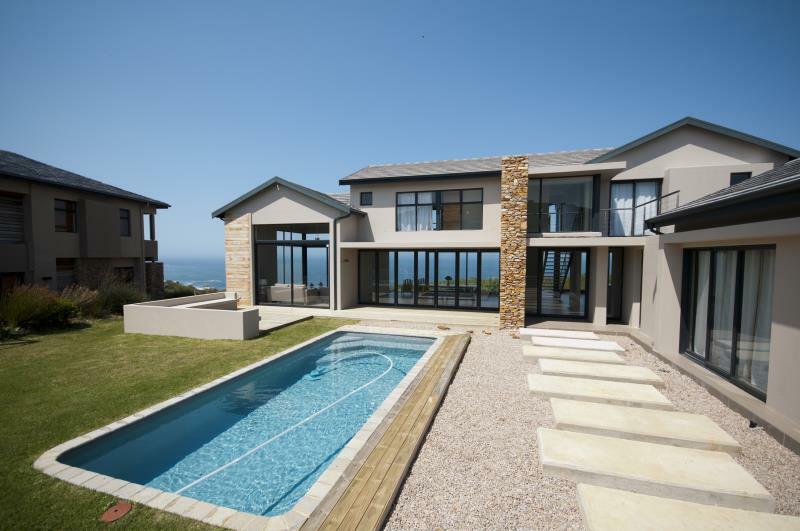 Every self catering holiday should be special and we strive to ensure that yours will be too.Our properties are hand picked to provide luxury and comfort. We are sure that you will feel relaxed and at home in each and every one. 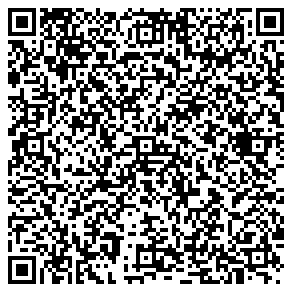 Our effort in listing only properties we are happy and confident in offering to you will ensure you a hassle free holiday in Knysna. The Lagoon Suites are the perfect for a honeymoon or a romantic weekend. 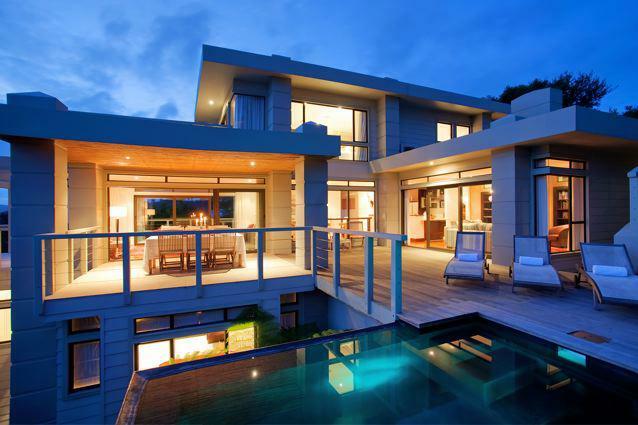 The four Lagoon Suites have magical views over the Knysna Lagoon from private decks. Each suite has a spa bath with stunning views. The perfect place to watch the sun set while sipping sparkling wine, submerged in bubbles.The Elephant Hide Lodge will ensure a romantic honeymoon or couples’ retreat by arranging whatever your heart desires. 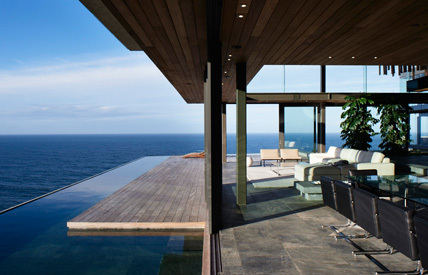 This could include sunset cruises, picnics in the Knysna forest, romantic dinners and couples massages. 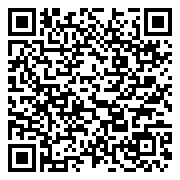 We offer Honeymoon Packages too! Click here for more information on our honeymoon specials.In keeping with our theme of Barefoot Luxury, the Lagoon Suites have a King Size beds positioned to enjoy the view. The suites also have a flat screen TV with select DSTV channels, iPod/iPhone docking stations, climate control, a sunny private deck area, 100 % percale bedding, dressing room, en-suite bathrooms with double showers and double vanities, tea/coffee making facilities and an honesty bar.Private cabins with spectacular Lagoon Views make the Lagoon Suites at Elephant Hide Lodge the ideal setting for a romantic honeymoon. The views alone make the Elephant Hide Guest Lodge a special place to stay. 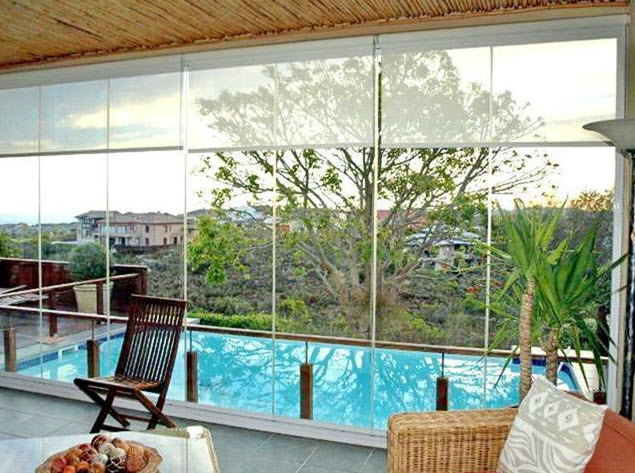 The Executive Suite has a private deck which overlooks the Knysna lagoon and is surrounded by trees for a secluded feeling. Sun loungers lend themselves to a decadent afternoon in the sun with a good book. And a day of hard sight seeing must be rounded off with a well deserved sundowner as the sun dips behind the Outeniqua mountains. A wall of glass doors allows you to enjoy the breath taking surroundings while relaxing in the raised spa bath or sipping coffee in bed.This suite is slightly larger than the others and has a comfortable lounge area which is superbly furnished with African warmth and earthy colours.All suites in this Knysna Lodge are equipped with flat-screen TV, select DSTV channels, DVD player, ipod/iphone docking station, tea/coffee making facilities and a mini bar.